DigestEase contains a synergistic blend of therapeutic essential oils that work to provide relief from nausea and digestive discomfort while stimulating the digestive process. DigestEase is an aroma-therapeutic blend which helps to ease digestive discomfort. Available in a convenient and portable roll-on applicator, DigestEase contains a synergistic blend of pure, therapeutic grade essential oils which work to help relieve digestive pain, bloating, cramping, gas, indigestion, nausea and other digestive complaints. It is also effective for stimulating the digestive process. These botanical oils contain properties which have been shown to act on the digestive system and provide relief, and are commonly used in many cultures to treat common digestive issues. Please seek medical attention if you experience digestive symptoms that are severe in nature. This product is also available in our Therapeutic Trio, our Deluxe Essentials Package and our Custom Essentials Package. Cardamom was used in ancient cultures as a medicine and a spice. The oils are distilled from the dried seeds and are known to have analgesic, anti-inflammatory, antispasmodic, carminative and stomachic properties, so it is, like ginger, a great ally for relieving digestive discomfort. It is used aroma-therapeutically for indigestion, intestinal cramping, flatulence, dyspepsia, nausea, constipation and irritable bowel syndrome, and it is generally regarded as safe. Spices have been traditionally used to enhance digestion as well as to enhance the flavor of food. 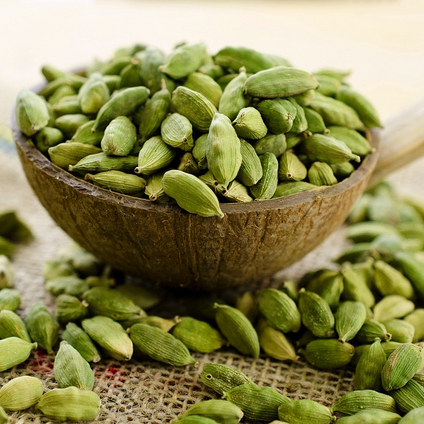 As a digestive spice, cardamom has been shown in studies to increase the release of enzymes needed to efficiently metabolize food, moving it through the digestive system efficiently. DigestEast can be applied to the abdominal area or the aroma can be inhaled directly from the bottle. This product is not intended for internal use. Please seek medical attention for serious symptoms.